With the H2 and H2R firmly cementing its place in the world of two wheels as one of the most insane models ever made available to the public, Kawasaki may want to hinge the design of the new ZX-10R on their supercharged monster. 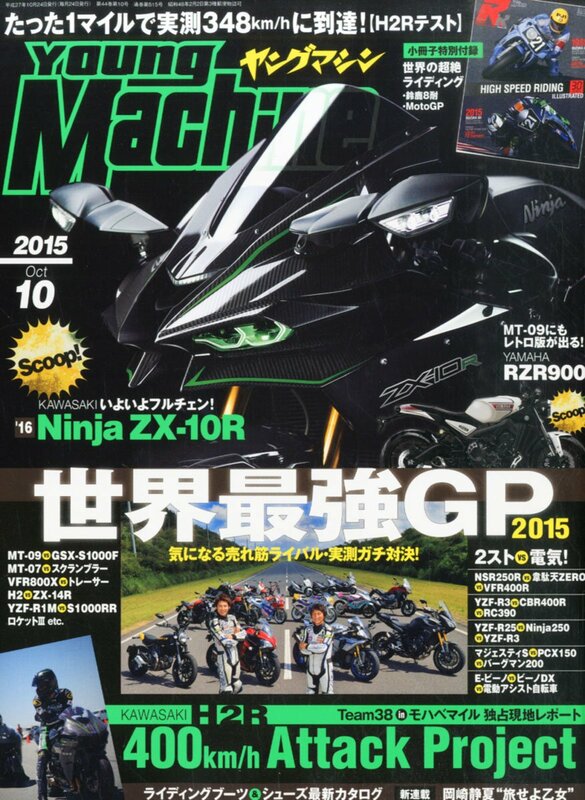 ‘Young Machine’, a magazine from Japan, has what appears to be the next generation ZX-10R on the front cover. As is made obvious, the design cues are taken directly from the H2 family, and why wouldn’t you? The H2 has become a bit of a cult bike and the ZX-10R has its work cut out for it amongst a world of fierce competitors. Ducati to Replace Twin with MotoGP Derived V4?